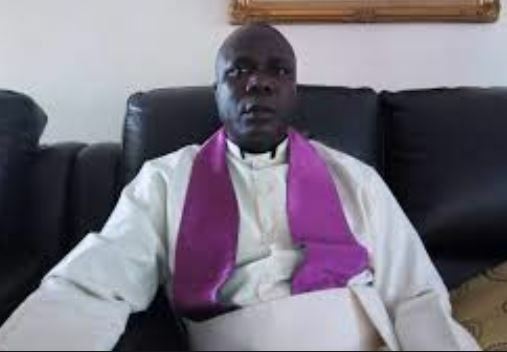 SOROTI: Soroti Anglican Diocese has launched a fundraising campaign that seeks to mobilize over UGX446 Million for the consecration of bishop-elect Hosea Odongo that is scheduled for 16th June 2019. “Among the forethought budgeted items are the renovation of the bishops house budgeted at UGX65m, two sets of vestment for the bishop at UGX7m, a car and budget for hosting guests,” Mr Ediau said. He said the drive is focusing to mobilize for funds from well-wishers like corporate organizations, political leaders, individuals and business communities in order to raise a consolidated budget estimate. Mr Ediau said the two more sub-committee will be launched in Kampala. The house of Bishops sitting at Lweza training conference centre in February elected Rev Capt. Odongo as Bishop-Elect for Soroti Diocese. Last year, the Archbishop, Stanley Ntagali appointed retired Bishop Nicodemus Okile as caretaker for Soroti Diocese following the retirement of Bishop George William Erwau. Henry Eyou, the member of St Peter’s Cathedral expressed joy that the long-awaited Bishop for Soroti diocese has been elected and promised to work with him. Odongo is the first youngest reverend to be named as a Bishop, at the age of 48. He will attain the mandatory retirement age of 65 in 2036, where he would have served for 17 years. Bishop Odongo has been serving as the chaplain of the Archbishop. Last month, Soroti town for the first time experienced traffic jam as hundreds of Anglican Christians of Soroti Diocese marched from Awoja Bridge to Soroti town to welcome the Bishop-elect. Prayers were held at St. Peters Cathedral led by the Diocesan secretary Rev. Sam Ediau who described Odongo’s election as a blessing. “Thank you for your prayers. I love you my people and I promise to work with you all for the development of our diocese,” remarked Bishop Odongo. The Bishop who was welcomed by a heavy downpour was in the company of his wife, Grace Acen Odongo.